They've started on their 'Happy Project'! Following her last film venture as a screenwriter for Last Night (starring Toni Gonzaga and Piolo Pascual), Bela Padilla returns in front of the camera as lead actress for Spring Films' "Happy Project," co-starring Carlo Aquino. 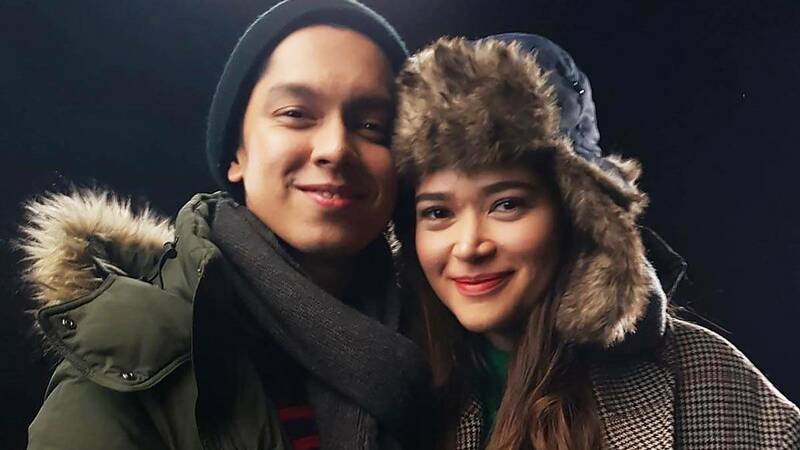 Bela and Carlo, who play the roles of Celeste and Jesse in the film, were spotted shooting scenes for the untitled project in St. Gallen, Switzerland. Here's Bela happily snapping with director Irene Villamor. ICYDK, Irene also directed Camp Sawi, a movie that Bela co-wrote and starred in. The "Happy Project" began filming in late October in the Philippines and continued in Switzerland in December.